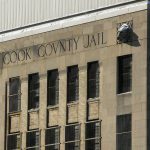 On Monday mornings I drive to a place many might consider to be the most depressing complex of buildings in Chicago: Cook County Jail. 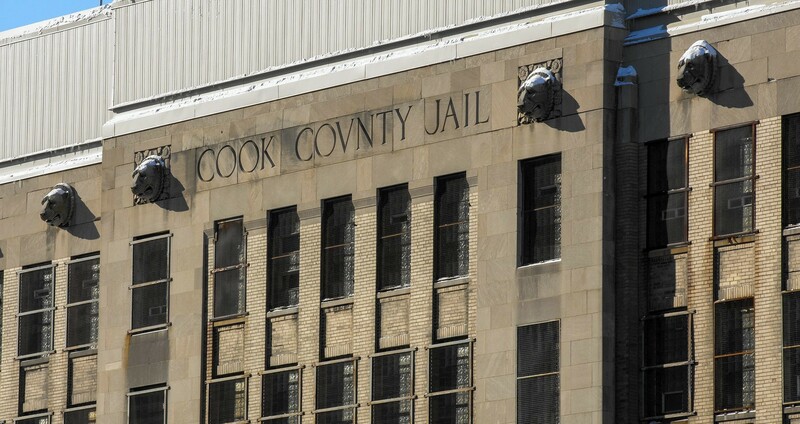 It is home to the largest jail in the United States, housing approximately 9,000 men and women. Once there I meet with my partner, Tom Mahoney. 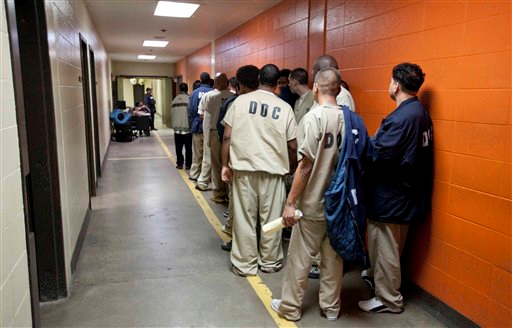 Together we teach a course on meditation to a small group of inmates (referred to as “participants”). At 9:00 a.m., I open the first door to the employee’s entrance. A sheriff stops us to see our credentials. The first week of the program I instinctively pulled out my attorney registration card. I had been presenting that card to sheriffs at the jail since 1976 when I became a public defender and continued to do so for another thirty years as a criminal defense attorney in private practice. The sheriff said that I was at the employee entrance and needed to use another entrance for an attorney visit. That woke me up to my change in roles. I told him I was not there as an attorney and shuffled through all the cards in my wallet until I found the green employee card I just obtained from the credentials unit. We pass several windowless, yellow brick buildings constructed in the 1950’s. They emanate an air of despair. When combined with the barbed wire to our right and left, there is no room for doubt as to where we are. I reflect on the fact that we are there to give meditation instructions. That, in and of itself, is quite a feat. Several years earlier a group from Shambhala Chicago attempted to start a program at the facility and met with something far less than enthusiasm. 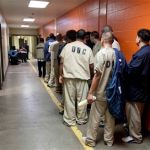 But now, Theresa Olson, the Director of Inmate Services and Programs, and her deputy director, Kerry Wright, had guided us through the maze of obstacles to be able to conduct such a program. In the process they thanked us for giving our time as volunteers to work at CCJ. Impermanence at work. We get to another checkpoint where we hold up our green cards to another sheriff. He nods and presses a button from behind the thick bulletproof glass. The loud clang of a metal lock fills the air. We pass point two. We walk through the yard and reach our destination. We press a button, hear the door unlock, and enter the first floor of Division 2. We walk over to the three sheriffs behind a tall desk. After we sign in I walk in front of one of the female sheriffs, say hello and hand her a list of the participants in the program. She returns my greeting but leaves me with the impression that given a choice she would prefer us assigned somewhere else. She takes the list and brings the participants from their tiers down to the open recreation room on the first floor. The approximately seventy-five by twenty-four foot sterile room contains a TV and a long metal table running across the middle of it. The table is attached to the floor and has metal chairs attached to it. There is a pull up bar and a 1950’s forerunner to an elliptical machine. Plastic chairs are stacked up against the outside wall. This is where we will conduct our class. Tom and I, with some inmates, set up a semicircle of about 10 chairs. We conduct two separate sessions with different participants. What time the sessions will begin depends on how busy and energetic the sheriffs are. We both come prepared to practice patience. The noise in the room makes it less than optimal for meditation practice but the sheriffs have limited the chaos by making sure the TV stays off and by seeing that only a few non-participating inmates are in the room during the program. When some inmates get loud, they become accommodating when we explain what we are doing there and ask them to tone it down. All things considered, the space is as much as we could have hoped for. The participants file into the room, stopping to rap with friends as they make their way to our circle. We realize that perhaps the main reason the participants originally volunteer for the program is to gain a respite from the boredom and cloud of stress. Whatever reason brings them into our group is good with us. We just hope that with time they come because they feel a benefit from practicing meditation. We greet each participant by name with a smile and hug. It all feels natural because after spending months with many of them talking about meditation and other topics, we feel a genuine connection. We begin by asking the participants if they found time to sit during the last week. Most of them say it was difficult due to all the activity and noise surrounding them but most succeed in squeezing in a few sessions. Once a participant described how he gets up at 3:30 a.m. “when it’s nice and quiet” and just sits on his bed. Another explained that his bunk is against the back wall away from all the noise so it’s easier for him. We warm up with about 10 minutes of Qigong and yoga. Then we sit. The meditation session consists of a 20-minute guided meditation using the techniques we learned in Shambhala and from the Fleet Maull Path of Freedom course. Following the breath is the focus of the practice. We emphasize that each time a person returns to the breath with kindness towards themselves, they’re strengthening their minds and tapping into their basic goodness. We conclude with how to work with thoughts and emotions, stressing that this requires an attitude of gentleness and kindness towards oneself from which one can repeatedly let thoughts dissolve and return to the breath. Glancing out at the participants while giving the instructions and seeing them involved in the practice, gives me a feeling of doing something important for another being. I have come to realize that being an inmate’s meditation instructor and being an inmate’s attorney tap into many of the same feelings within me. As a meditation instructor I try to open a little window to freedom: for the participants to not be prisoners to their thoughts and to make choices from a place of peace instead of from a place of turmoil. After the guided meditation we discuss different topics. Despite our plans to focus on articles we give them each week from the Path of Freedom course, the participants often stray into discussing how their drug addiction, alcoholism, and family (or lack of family) situations led them to CCJ. Keith Spielfogel is a Chicago Shambhala Guide and a most loving student of Sakyong Mipham Rinpoche.